Host Katie Bandish covers the latest happenings on campus with international student groups, including a Lunar New Year tea party hosted by The International Student Association. Members of the ISA e-board, Ashwanie Poonie, Janine Fanjiang, and Donatas Zukas, sit down with Katie to discuss the significance of Lunar New Year for many Asian communities and how events like this help build the international student community at Temple. 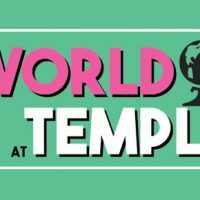 Now back at Temple, students who studied abroad in Japan reflect on their experiences studying and living in a different culture. Jin Su Kim, an international student from South Korea, compares the Korean dishes tteokbokki and bibimbap that students can get at food trucks around campus to the the traditional dishes from his home country.